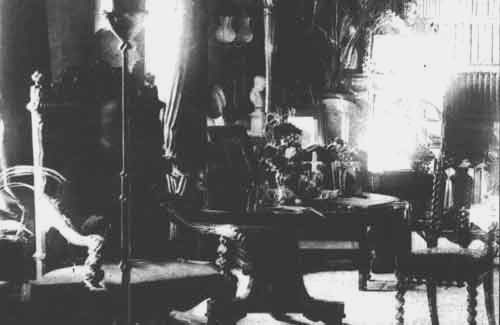 Sybell Corbet took this photograph of the Combermere Abbey library in 1891. The figure of a man can detected in the chair to the left. It is believed to be the ghost of Lord Combermere, a British cavalry commander in the early 1800s. Lord Combermere died in 1891, having been struck and killed by a horse-drawn carriage. At the time Sybell Corbet took the above photo, Combermere's funeral was taking place!